Everything you need to know about how to prepare for our visit. Follow this information to keep your family, pets, and our technicians safe during our visit. Always use caution around damp areas. Remove all small and breakable items from tables, dressers, etc. Relocate any items from under tables and beds that are to be cleaned under. In all levels of service, we will move small items like coffee tables and dining room chairs. Our insurance prevents us from moving furniture containing electronic devices. If you would like us to move such furniture, please relocate the electronics to another room prior to our arrival. Pre-vacuum! The more dry soil that is removed beforehand, the better the results will be. Safety: For health and safety reasons, please keep small children and pets off of freshly treated carpets and out of the way of the technician during the cleaning process. Safety: Hard flooring surfaces may become slippery while we are cleaning nearby areas. These areas may remain slick for a few hours after our departure. Please watch your step! Spots and Stains: Not all stains can be removed completely, even with the aid of professional spotting agents. Due to dye characteristics, pH effects, oxidation and other chemical reactions, some spots may not be completely removed. Traffic Areas: Heavily soiled areas often show some degree of discoloration even after the most thorough cleaning. If soil remains in heavily used areas for too long it acts as a sandpaper and begins to wear out the carpet at a faster rate. This process affects the way that light is reflected off of your carpet and typically shows up as a faded grey color even when no soil is present. Soil Filtration Lines: (dark lines that often appear around the wall edges and in doorways). It is difficult to predict how filtration lines will respond to cleaning, for they are a combination of excess soil and discoloration due to various gases passing through walls and over the carpet. The soil will be removed, but in some cases the chemical discoloration of your carpets may still be quite noticable. Damp Carpet: It is best to stay off of damp carpet as much as possible both to avoid soil tracking and to allow the pile to dry in its “up” position. If you walk directly on the damp carpet, it is best not to wear shoes, only white socks. Your technician will also have protective shoe covers available to you at no additional charge. Drying Time: In most cases will be dry within 2 to 6 hours depending on the fiber and degree of soiling. If the carpet was treated with a protector, please allow 24 hours for curing. Furniture Blocks: Plastic squares and Styrofoam blocks found under any furniture should be left in place for 24 hours or until the carpet is completely dry. Ventilation: Increased air circulation will aid you in carpet drying. Turn on ceiling fans and consider opening windows if the humidity is low outside. Vacuuming: When you vacuum , pay special attention to the high traffic areas in your home. 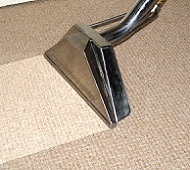 Multiple vacuum passes from different directions will extend the life of your carpet! Get in touch with us! We can discuss the goals you have for your cleaning projects and see how we can help. Copyright Carpet Max ©2006-2014. All Rights Reserved.